Serious human rights abuses from World Bank-funded dams caused the institution to move away from large hydropower projects in the '90s. But the bank is now back and is considering funding the highest dam ever in the world. 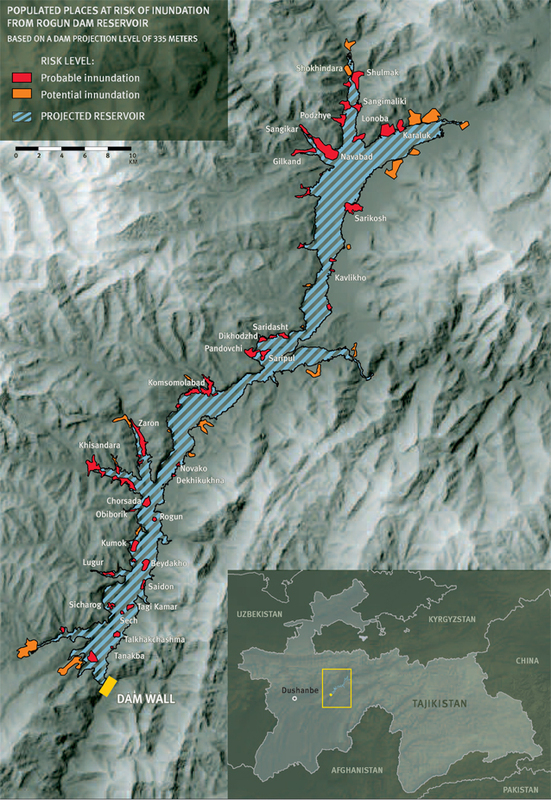 Rogun Dam is an embankment dam under construction on the Vakhsh River in southern Tajikistan. It is one of the planned hydroelectric power plants of Vakhsh Cascade. The Rogun hydropower project was first started 40 years ago. But the collapse of the Soviet Union, the Tajik civil war and problems in securing investments have delayed construction. Due to its controversial state, construction was suspended in August 2012 pending World Bank reports. 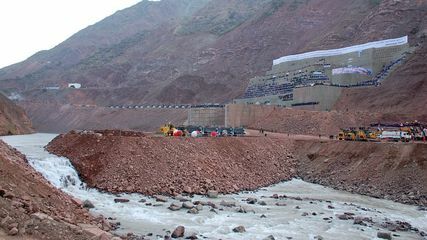 The dam has drawn complaints from neighbor Uzbekistan, which fears it will negatively impact its lucrative cotton crops. The dispute over the project has contributed significantly to bitter relations between the two former Soviet republics. The organization Human Rights Watch writes in a report that "Tajikistan is counting on Rogun to solve its annual winter energy crisis. The proposed project will have an installed capacity of 3,600 Megawatts, 30 percent more than the capacity of Tajikistan’s next largest dam and major energy supplier, Nurek HPP. The World Bank has not committed to funding the project, but it has commissioned two feasibility studies on Rogun, the final drafts of which were published on June 18, 2016. 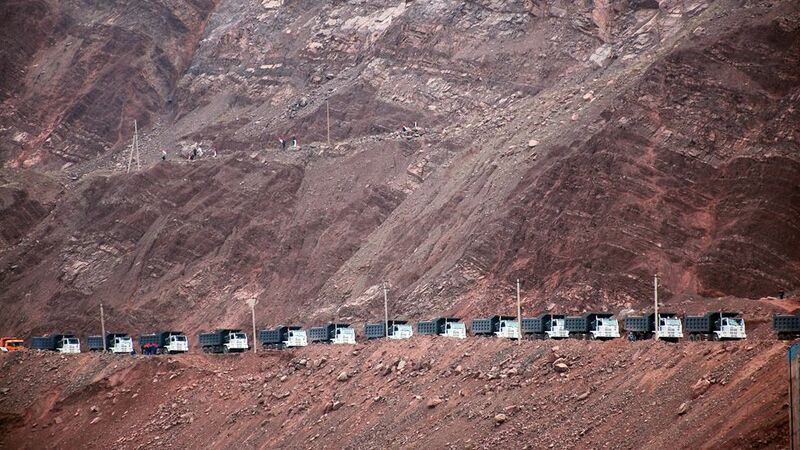 Tajikistan, meanwhile, has committed to complying with the Bank policy on involuntary resettlement. Rogun is emblematic of the large-scale hydropower projects that the Bank has recently re-embraced. The Bank has acknowledged that the need to resettle so many people to make way for Rogun will be one of the most negative impacts of building the dam" She also reports that "Since 2009 the government has resettled over 1,500 of the roughly 7,000 families slated for relocation. [...] The government had given the people to be resettled compensation for their homes and the use of an assigned plot in a resettlement village, and left them to build their new homes. But the low payments and rising costs of supplies made it difficult for them to get what they needed, let alone to hire qualified laborers.". At the contruction site, local inhabitants lamented that blasting for these materials has damaged their homes, shattering all of their windows and cracking their walls, and these demages were not compensated by the government. Many of Tajiki citizens have migrated abroad and remittances build almost half of the country's GDP. HRW report observes that "Resettled individuals who would otherwise earn income from employment abroad are faced with the dilemma of leaving their families in an unfinished home to earn money for construction or staying while spending their savings." 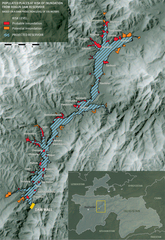 On June 17, 2014, the World Bank published the final draft of its Rogun Dam studies for consultation, as well as its own draft paper, “Key Issues for Consideration on the Proposed Rogun Hydropower Project.” The World Bank acknowledged that the required resettlements would have a major impact on building the Rogun Dam, that the project would result in economic, as well as physical, displacement, and that restoring livelihoods during and after resettlement would be a critical element of the resettlement process. However, while the draft Environmental and Social Impact Assessment importantly considers international environmental treaties and international water laws, it does not consider relevant international human rights instruments regarding resettlement. As these studies are finalized, the World Bank, its consultants, and its economic and social panel of experts should be guided by international human rights standards. At the same time, last summer Italy-based infrastructure company Salini Impregilo won the contract to complete the dam at a cost of $3.9bn. Pakistan and Afghanistan have already offered to buy part of the energy produced by Rogun and other nearby countries will likely do the same. Proof of this is the fact that a few weeks ago a parallel project was launched to modernize the power grid linking Tajikistan to Pakistan, an additional way of taking Rogun’s electricity outside the country. Project Details Rogun is listed as the highest dam in the world — 335 metres high and built by Salini Impregilo Group with 74 million cubic metres of earth, rock and an impermeable core. Development of Alternatives Human Rights Watch report states that "The government of Tajikistan has obligations under the constitution of Tajikistan as well as under international law to protect people’s rights to adequate housing, food, water, health, work, and education. It must also avoid taking any steps that would negatively impact or cause a regression in people’s realization of these rights. In the context of involuntary resettlement, the government must ensure fair compensation for all losses that resettlement imposes upon people forced to resettle and ensure that people do not bear an undue burden as the result of being resettled. The government must provide timely and adequate information to and consult in advance with residents facing resettlement and provide access to effective remedies if rights violations occur. 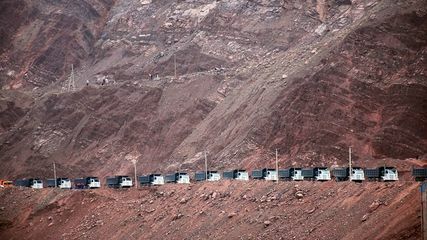 As it moves forward with the Rogun Dam project, the government of Tajikistan should respect and uphold the United Nations Basic Principles and Guidelines on Development-Based Evictions and Displacement, the international human rights standards that they are based on, and the World Bank’s Involuntary Resettlement Policy. With over 5,500 families yet to be resettled, the government has an opportunity to effect a positive change on many lives in the near future." Why? Explain briefly. The project is being built and no proper compensation given to the affected families. HRW report - "We Suffered When We Came Here"
Salini-Impregilo announcement - July 1, 2016: Salini Impregilo signs a framework agreement worth $3.9 billion to build a hydroelectric project in Tajikistan.